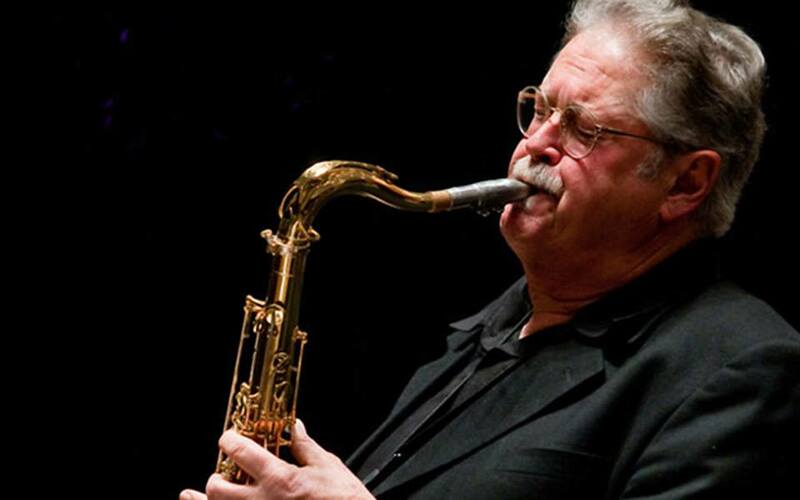 Pete Christlieb is probably one the world's most famous anonymous tenor saxophonists. For years, he played jazz tenor in Doc Severinsen & the Tonight Show Band. His big, beefy sound and aggressive solos were heard mostly in brief snippets as the show came out of commercials, unfortunately denying the American public a chance to hear a very fine saxophonist improvise at length. Though he's done good work elsewhere over the years, Christlieb's biggest claim to fame away from Severinsen and The Tonight Show is a Warner Bros. album he recorded in 1978 with fellow tenorist Warne Marsh. Apogee is one of the most compelling straight-ahead jazz albums of the '70s. Christlieb's cocky, rhythmically assured style contrasts effectively with Marsh's looser, more querulous manner. The record's overall air of curious abandon foretold (somewhat wrongly, as it turned out) a bright future for mainstream acoustic jazz in the coming decade. Christlieb was born into a musical family. He began playing the violin at seven, and tenor sax at 13. After playing with a variety of L.A.-based bands in the early '60s, including those led by Chet Baker, Woody Herman, and Sy Zentner, Christlieb joined drummer Louie Bellson's band in 1967, with which he would continue to play into the '80s. His first record as leader was Jazz City, an LP released in 1971. The tenorist started his own label, Bosco Records, in 1981; Bosco would issue small-group albums by Christlieb, as well as records by Bellson and Bob Florence. Christlieb has long been in demand as a studio player; he's played innumerable sessions of every type. Other prominent jazz figures with whom he's played include Count Basie, Benny Goodman, Quincy Jones, and Sarah Vaughan. He has appeared on a number of recordings into the 21st century, often in collaborative settings, including: Late Night Jazz with Charles Harris and Jim Hughart (2001); Reunion with the late Hadley Caliman, with whom Christlieb had played at L.A. clubs in the early '60s (2010); and Good Bait, a live date with Dutch tenorist Ferdinand Povel recorded at the Bimhuis in Amsterdam (2011). James Houlik is the leading performer on his instrument in the world. His pioneering efforts on behalf of the tenor saxophone have resulted in the composition of more than eighty-five new concert works for the instrument, and important performances around the world. From the East Room of the White House, to solo appearances with orchestras in London, Prague, Istanbul, Berlin, Chicago, Phoenix, and New York, to recitals in the music capitals of the world, James Houlik has redefined the role of the tenor saxophone. He has worked closely with many composers to foster the development of a repertoire for his previously neglected instrument. Among the more than 85 pieces composed for are concerti by Robert Ward, Morton Gould, David Ott, Sherwood Shaffer, Eric Ewazen, Walter S. Hartley, Russell Peck, Paul Harvey, Vache Sharafran, as well as dozens with band, piano, and in chamber settings. Through the years, James Houlik has appeared in such major venues as Carnegie Hall, Lincoln Center, Town Hall in Toronto, The Smithsonian Institution, and London’s Barbican. He regularly visits university campuses throughout the United States as a performer and as a teacher of clinics and master classes. His concerto performances have included those with the American Symphony Orchestra, the Grant Park Symphony, the London Symphony Orchestra, the Phoenix Symphony, the West Virginia Symphony, the San Remo Orchestra (Italy), the Istanbul Philharmonic, the North Carolina Symphony, the Chamber Orchestra of Milan, the New Art Philharmonic of Pretoria, South Africa, the Czech Philharmonic Chamber Orchestra, the United States Navy Band, to mention a few. With a combination of landmark performances and tireless efforts to build a repertoire for his instrument, Houlik has taken the tenor saxophone to unimagined heights. Moreover, audiences and critics alike have celebrated the remarkable artistic achievements which have placed James Houlik among the leading saxophonists of our time: “Houlik is a genuinely brilliant player” -New York Magazine. 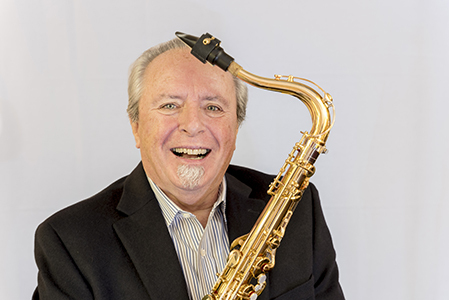 James Houlik is Professor of Saxophone at the Duquesne University Mary Pappert School of Music. He is a Yamaha artist, performing on the Yamaha Custom EX tenor saxophone, a James Houlik mouthpiece, and Alexander Superial D.C. reeds.